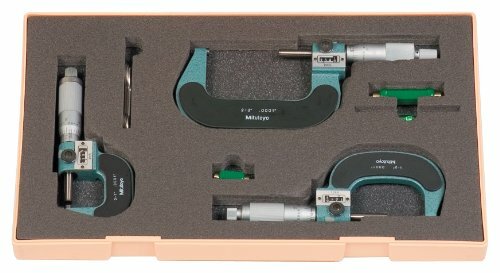 0.6 Micrometer/0.000024 inches flatness, (2+R/100)µm, R=max. 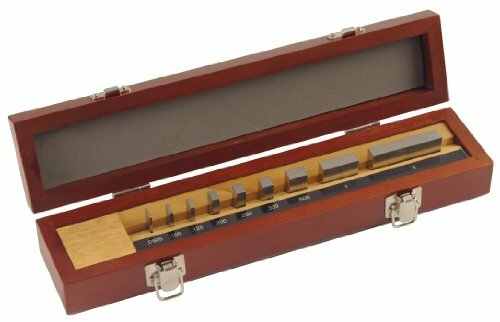 range (mm) parallelism, carbide tipped measuring faces. 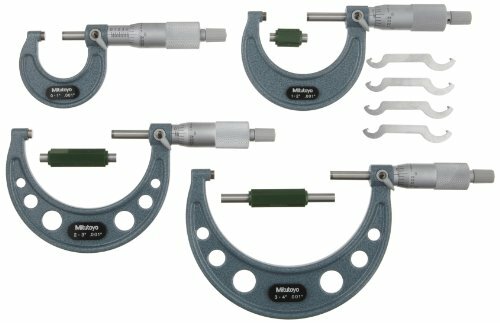 The ratchet thimble mechanism helps to ensure repeatable results by transmitting micro vibrations along the spindle to the contact face to provide a constant measuring force and encourage good contact with the work piece. 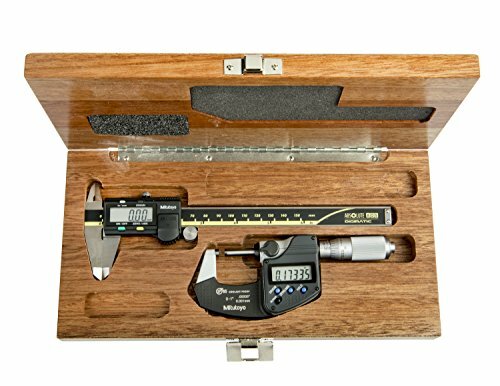 The ratchet works from the thimble as well as the speeder so it is always easy to use even when making measurements one handed. 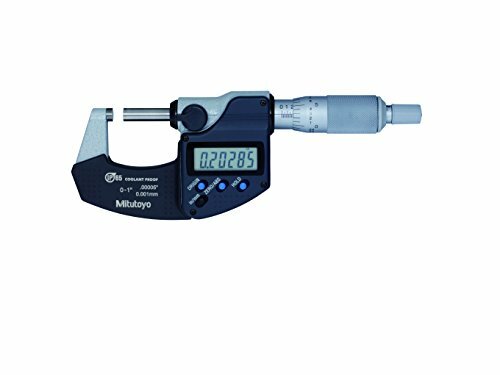 The sound of the ratchet provides the user with a sense of confidence and the speeder enables the rapid spindle feed needed when measuring widely different dimensions. 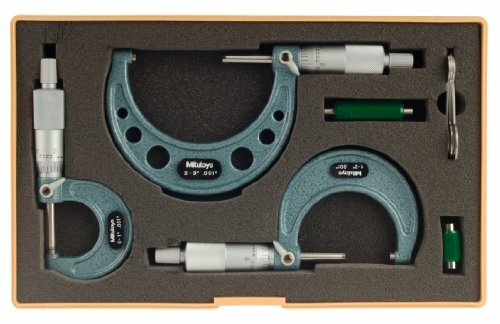 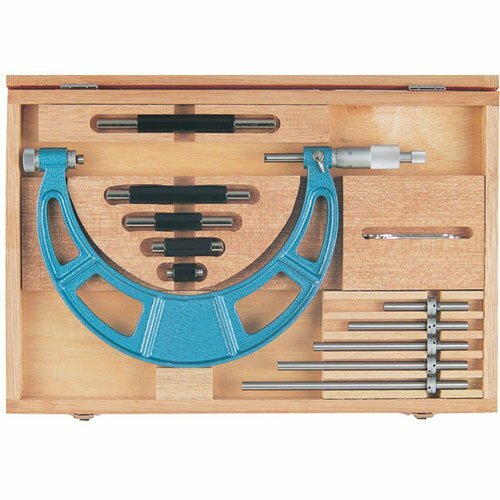 0-6 In, .001 In Mechanical Outside Micrometer Set, Hammertone Baked Enamel, 6 gages, with 5 standards. 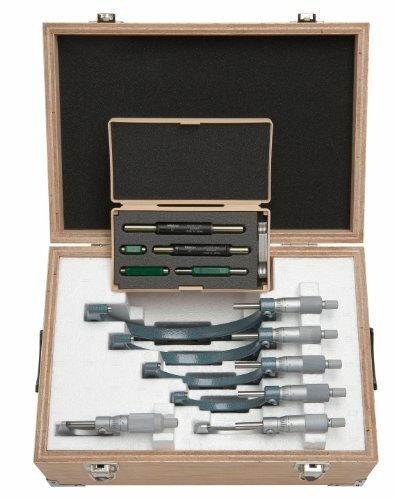 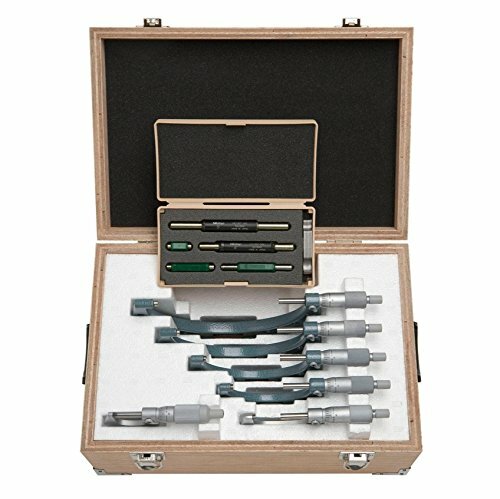 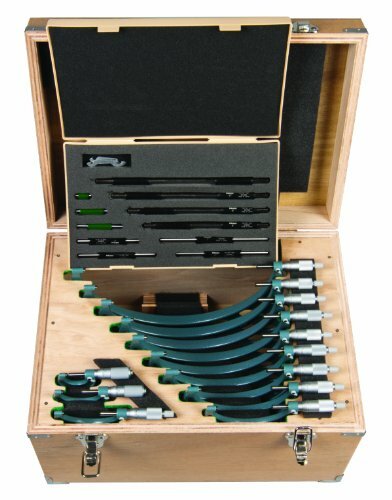 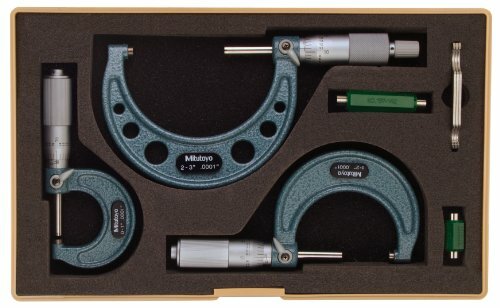 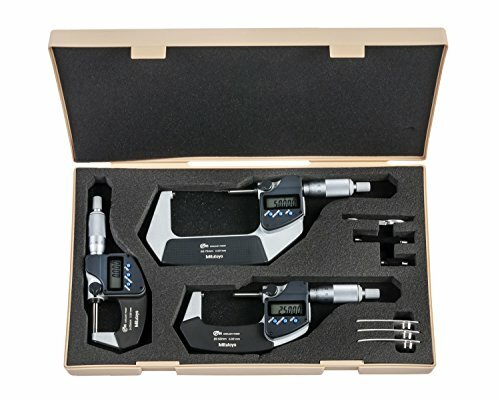 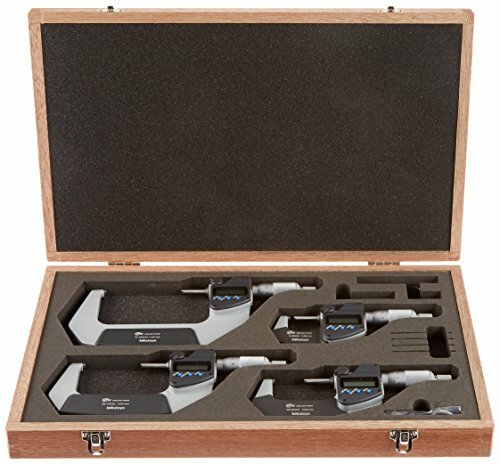 Mitutoyo 64PKA077B Digimatic Tool Kit with 500-196-30 AOS ABS 6" Caliper and 293-348-30 1" Friction Thimble Micrometer and a Mahogany Case. 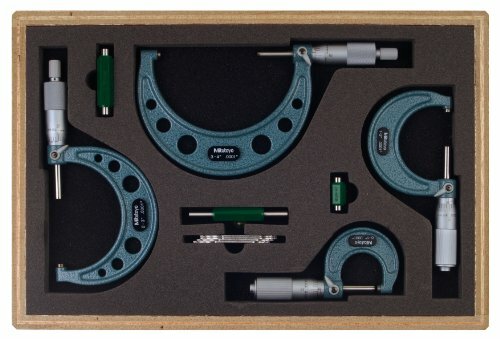 Included in set: 103-137, 103-138, 103-139-10, 2 micrometer standards.